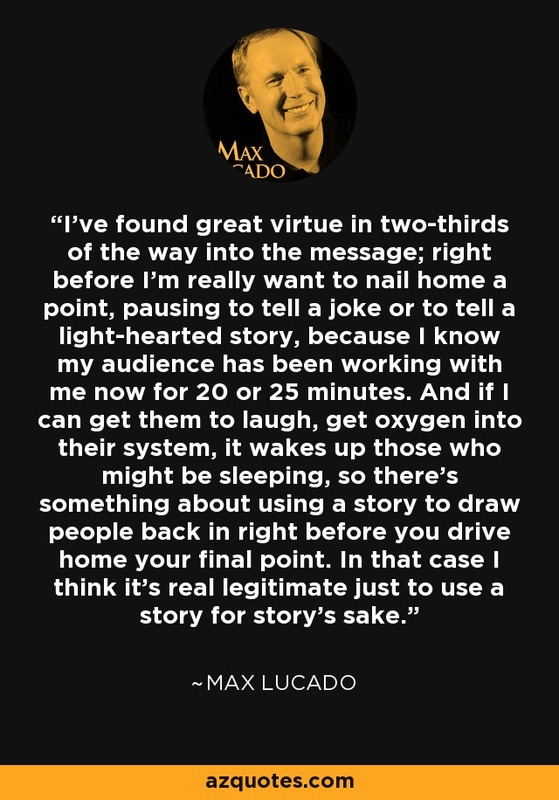 I've found great virtue in two-thirds of the way into the message; right before I'm really want to nail home a point, pausing to tell a joke or to tell a light-hearted story, because I know my audience has been working with me now for 20 or 25 minutes. And if I can get them to laugh, get oxygen into their system, it wakes up those who might be sleeping, so there's something about using a story to draw people back in right before you drive home your final point. In that case I think it's real legitimate just to use a story for story's sake.